Laura James, a wife and mother of four with her own communications company outside London, always knew she was noticeably unlike other people. As a child she could barely bring herself to eat, as a bright high schooler she couldn’t pass a test, and as an adult she could be driven to distraction by the itch of a clothing label. Despite being regularly overwhelmed by intense feelings, James found it impossible to identify her emotions. In Odd Girl Out, author Laura James details the year and a half after her diagnosis with adult Asperger’s, a syndrome within autism spectrum disorder. It was a time she hoped would change everything for the better—and it did—but not before she hit bottom in her personal and professional life. As James struggled to unpack what having autism meant, she discovered that her diagnosis was the beginning of a journey, not the end. Interspersed throughout the narrative are vignettes from James’s past, from grade school through early adulthood, told from her perspective at that age. James reflects with regret about time lost to the misery of not fitting in, not meeting expectations, and not functioning at a basic level due to her autism. How would life have been different had she been diagnosed earlier? Would she have avoided great pain, spared her parents grief, or learned to cope better with life? Fear was the driving force in James’s life; she worried constantly and reacted with pain to even the most pleasant surprise. What she yearned for was not joy or contentment but a “neutral” feeling. As an adult, James spent days trapped on her couch, unable to run a bath or make a piece of toast. Work gave her a temporary escape from the fear, and she thrived in her professional life, interviewing subjects with ease, cultivating clients, and writing well-crafted articles. Motherhood also suited her with its routine, repetition, and sense of purpose. James’s story, told in an affecting, honest way, is at once intensely personal and extremely relatable. Some of her autistic behaviors seem within the realm of normal: She obsessively researched the Brexit vote and the Trump election. But James pursued those interests to the extreme. She couldn’t moderate herself; even in social settings, her current obsession was all she could talk about. James devotes particular attention to her up-and-down relationship with her husband, which was strained by her autism but also by his recurrent depression. “Do I love Tim? I think so. I am used to him, and his presence often helps me find my emotional neutral.” It’s a jolting admission by James, who cannot quite understand what romantic love is, what it feels like, and why people need it. Yet, in another paradox of her autism, she describes an easy, all-consuming love for her children. Through therapy, James learned that her diagnosis would not change her but help her to live with less struggle and pain. “I need to stop trying to be less autistic and start creating an environment in which I can thrive in my autism.” To this end, James developed elaborate calendars to manage her time, reached out to other autistic adults, and created a budget with the help of her accountant. 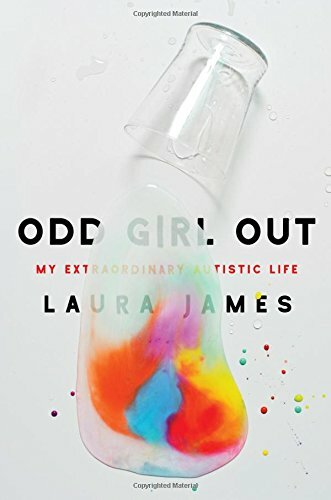 Odd Girl Out is Laura James’s story, not the story of autism, and she emphasizes that each person on the spectrum is unique and sometimes not what people expect. Most of her friends and acquaintances were shocked that a married and professionally successful woman like her would be diagnosed with Asperger’s. What people had not seen, and what James describes so vividly in her book, was her private pain and the exhausting effort to “pass” in her daily life. Laura James discovered on her journey through autism and long-delayed treatment that naming a condition can itself be therapeutic. Knowing that she had autism gave her a way to connect with others like her and explain herself to friends and loved ones. James wondered and sometimes agonized until the age of 45 about why she was so different; her story reminds us to have compassion for those who defy our definition of normal, whether or not they have a label.